most Web sites and Web. or are they repeat users who will return weekly or daily to view content? sovereign posture by paying attention to how often that particular user visits. still usable (without horizontal scrolling) on lower-resolution monitors. return to it at any later time. help less frequent users find what they need with minimal navigation. significant part of an employee's job should be considered full sovereign applications. exclusively to gain access quickly to unrelated information and functions. is auxiliary: a small and persistent panel of links (like the Windows taskbar). kind of work: environmental portals. Actual work is done in an environmental portal. brought together to accomplish a unified purpose. attention and hint at function. alarms) can adopt a more transient posture. activation for hands-free use). The more transient the phones interface is, the better. rich output and direct input. becomes a confusing array of unworkable controls. they simply want to put the washer on normal cycle or cook their frozen dinners. purposes is no interface at all. 3. Keep tools close at hand. We will now discuss each of these methods in detail. pattern of cause and effect to gain insight into the machine's behavior. wheel when they want the car to turn. steel, and the heft of the hammer's weight. The driver certainly doesn't expect the car to interrogate him with a dialog box. pencil. He should never have to put tools away manually. needs to be clearly posted and easy to see without obscuring or stopping the action. way to inform the user is with modeless feedback. modelessly just by looking at the status bar at the bottom of the screen. eyes glued on the opposing fighter. feedback in the periphery of their windows. sees the story and characters with clarity undisturbed by the technique of the writer. designer looms with a clumsily visible presence in his software. what he is trying to accomplish. windows and dialogs, covered with a scattering of unrelated and rarely used controls. ing the new file. Why not streamline this interaction? --filter by type in addition to sort by type? all the shell tools at our disposal to move things around or rename them. visually and functionally consistent, all with a single design stroke. That is finesse! telling you not to spill soup on your shirt every time you eat. did: give you the exact number of free bytes. number of bytes on the disk. These numbers are hard to read and hard to interpret. 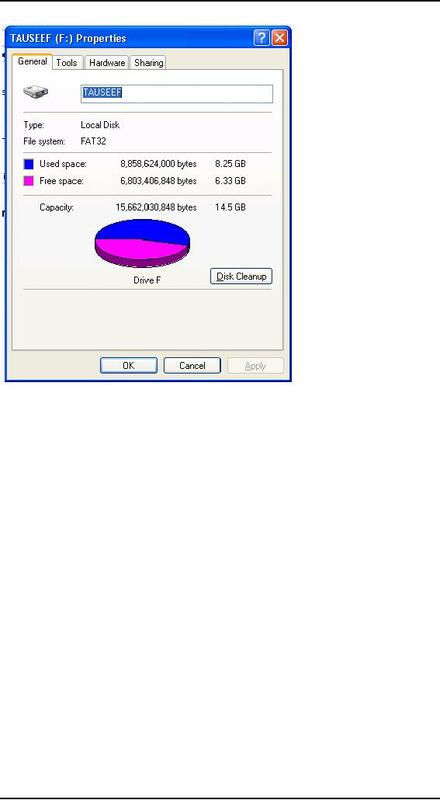 hard disk is less useful than knowing that it is 22 percent of the disk's total capacity. Pile Manager is long dead, replaced by the Explorer dialog box shown in Figure. the numerical data, unless the user chooses to hide it. 1.347 inches in from the left margin instead of forcing the user to enter 1.347.
corresponding point in the spreadsheet represented by the X and Y values, to change. depend on it for maintaining social order. is best communicated using forms of rich modeless feedback. is well, and not burden the user with the trivia of how it was accomplished. dialog box. Save dialogs for events that are outside of the normal course of events. program has moved the user closer to his goal. those the defaults for new documents. for forgiveness after the fact. of exposure and mental effort than he would have from drafting it from nothing. print setup function would offer up all those choices about paper and copies and fonts. The print control on the Word toolbar offers immediate printing without a dialog box. selected before he either clicks the control or summons the dialog to change it first. according to GUI standards, give some inkling that it will launch a dialog. reject the configuration interface nine times in ten. the buttons provide immediate action. them is the same as that between browsing in a store and conducting a job interview. individual being asked. Those with authority ask questions; subordinates respond. Asking users questions makes them feel inferior. the luxury of selecting what you would like with just a flick of your finger. or spinach? Spinach. Would you like French, Thousand Island, or Italian? French. need to ask us in the first. Worse than single questions are questions that are asked repeatedly and unnecessarily. competent and helpful, or does it whine, nag, badger, and make excuses? without once issuing a dialog box. and their consequences are significant and irreversible. software force it to adapt to specific situations, and it had better be able to do so. levers may need to be used, but they won't be used very often. minor adjustment to the program. from inexperienced users. Of the two, the latter variety is by far the more dangerous. likely to be stuck with the consequences.